4.6.2 - Fixed some languages configurations on the wikipedia popup window and the position of the add button. 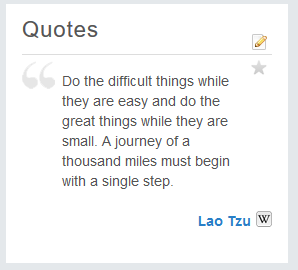 With this module your members can share their favorite quotes. 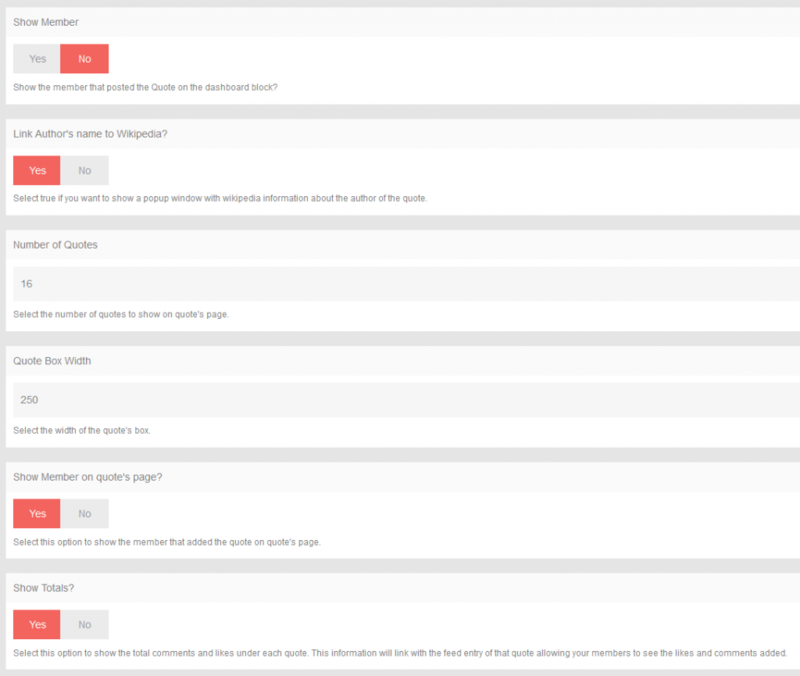 The system will add a block to members profile with the members quotes, and a block to the main page with all quotes from members. By clicking on the (W) a new windows opens with information of the autor from Wikipedia. 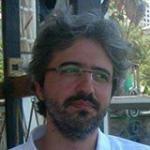 The wikipedia page will be shown in the language you have set in the website. This block will show all quotes from members. 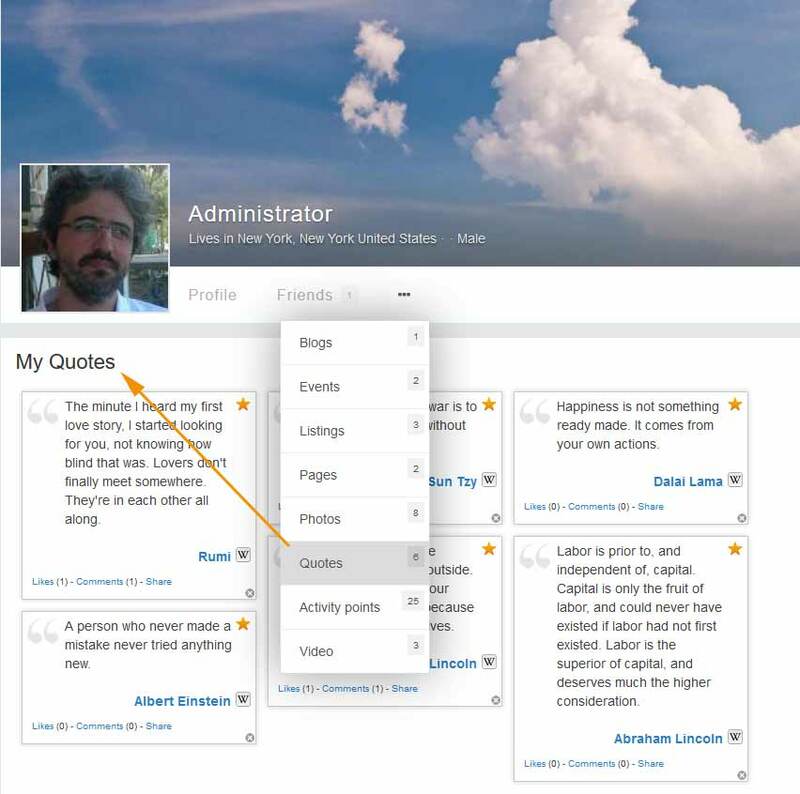 Admins can edit it and have access to all quotes, deleting unwanted quotes. 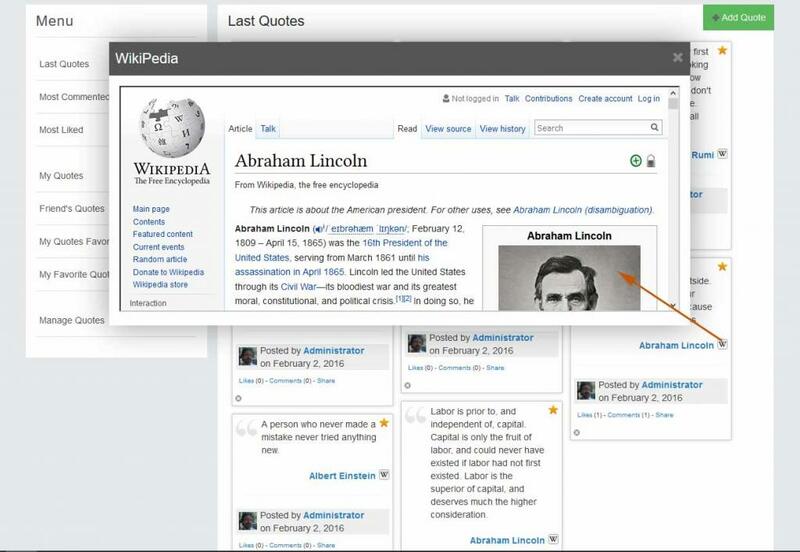 The authors name works as a link to show all quotes from that autor, and the (W) as a link to the wikipedia page of the author, allowing your members to have more information about. The profile block will show only "My quotes", allowing each member to add and delete their own quotes, and other members to read the most important quotes from that member. 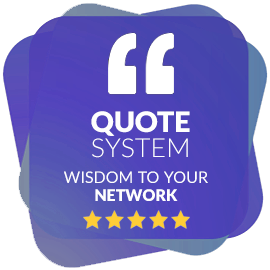 Quote's page is where you can see all quotes and filter it by "Most Liked", "Most Commented", "My Quotes", "Friend's Quotes", "My Favorites Quotes", "My Quotes Favorited", and Manage all your quotes. 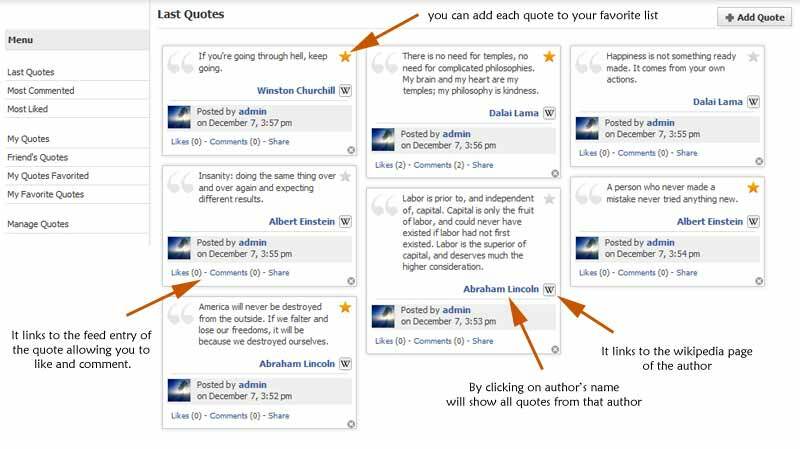 In this page you can also add each quote to your favorite list, delete your quotes on the spot, and share, comment and like quotes. You have also the member's page linked directly from the profile menu, where all members can see the quotes from the owner of the profile. 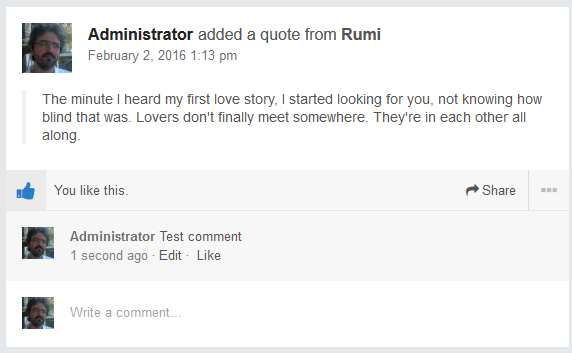 All new Quotes are added to the feed where your members can comment, like and share. 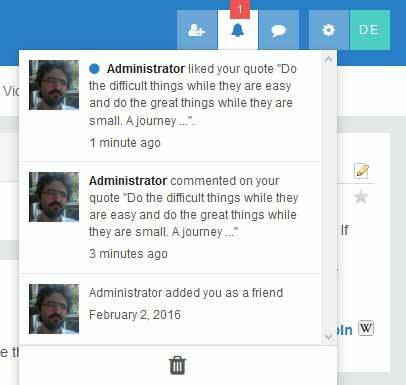 You will receive website notifications for the activity on your quotes and also mail notification. During the installation routine, if you don't have FTP configured on your phpfox settings, select the option file system to install this app. Question 1: Can I have free install?